It was such a scorcher last Sunday (July 7), I found it impossible to pull myself out of our plastic kids’ pool and get down to the Coliseum in time for the start of the Scorpions/Alice Cooper concert. I completely missed the 25-minute opening set by DDT—hired at the last minute to replace Hamilton’s Junkhouse—and didn’t even get to see shock-rock king Cooper make his typical dramatic entrance. I was really looking forward to that. A pox on that damned kids’ pool, and its Ninja Turtles too! When we finally did arrive at the gig, Cooper was finishing up “Only Women Bleed”, the pretty 1975 ballad that first earned him mainstream radio acceptance. “Feed My Frankenstein” was next, one of Cooper’s latter-day rockers—and one that’s typical of his more recent output in that it tries to capitalize on his demented track record but doesn’t deliver the musical goods. 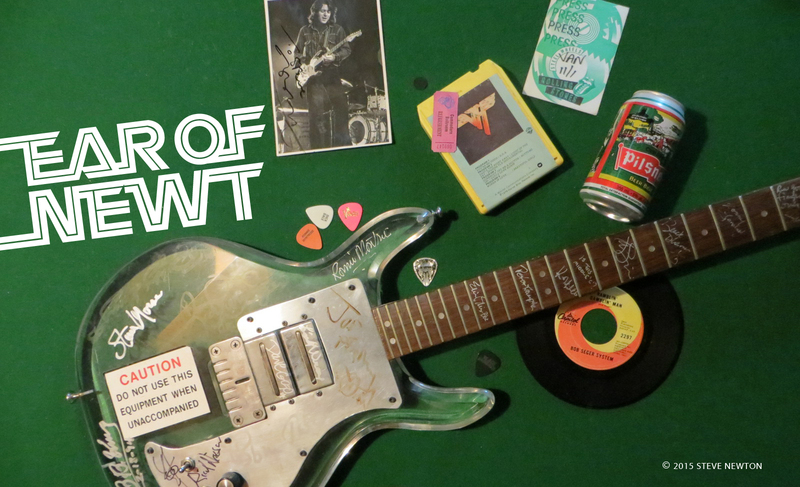 As is the case with the band he paved the way for, Kiss, Cooper’s strongest material was released at least 20 years ago, and it was only when he turned back the clock—as on “Gutter Cat Versus the Jets”, from the School’s Out LP of ’72—that he really shone. That tune featured a strobe-lit street fight between Cooper and a huge guy portraying a gang leader, which the frail underdog won by forcing his trusty showman’s cane against the rival’s windpipe. His glory was short-lived, though, as three men in white smocks appeared to wrap him in a straitjacket and leave him struggling on the floor during “The Ballad of Dwight Fry”, the insanity-rock classic of ’71. He weaselled out of his bonds eventually, though, and took deadly revenge on one of the clipboard-toting docs. It’s not an Alice Cooper show unless at least one authority figure gets strangled. “Does anybody remember when I fell off the stage?” asked Cooper, referring to the mid-’70s Coliseum concert in which he stumbled off the stage and injured his ribs. That was during the height of Cooper’s theatrical era, when most every song was accompanied by elaborate props and staging. Nowadays, the 48-year-old crooner relies mostly on his impressive stable of golden oldies, which benefit greatly from the spirited flailings of a committed young band. 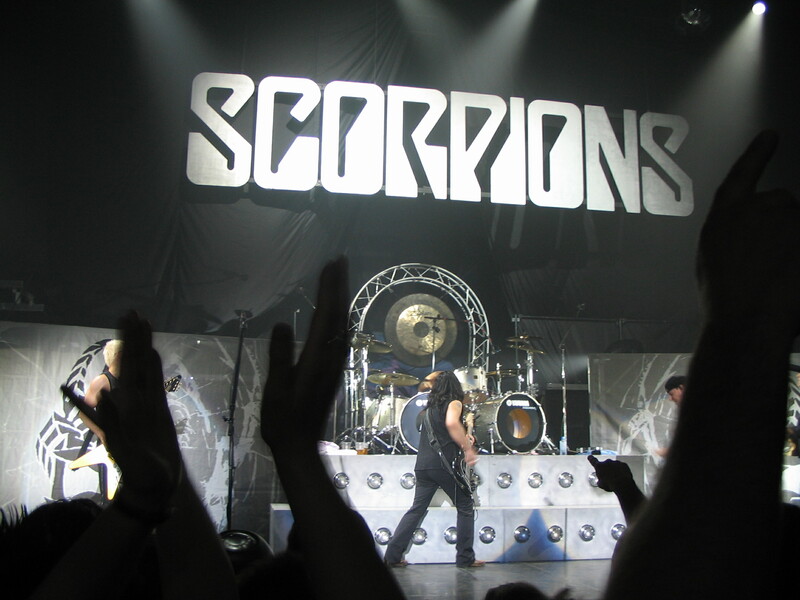 Part of the reason for Cooper’s stripped-down theatrics had to do with the fact that, although the current tour with the Scorpions is being promoted as a double bill, the Scorps are the ones getting headliner treatment. It looked like a whole new stage by the time Cooper’s cramped setup was cleared away; there were way more lights and a bigger stage area for the Scorpions to scurry under and across. And scurry they did. They’ve been playing the hard-rock game for 20 years themselves, but Germany’s answer to Aerosmith still gives its all in the enthusiasm department. Rhythm guitarist Rudy Schenker continues to be the main motivator, spinning around, leaping about, and hitting Townshend-style windmill chords with arm-wrenching force. His blond hair has been cropped short, but he’s still got that trademark Flying V guitar that he and younger bro Michael prefer, and it still blares like a rockin’ foghorn. He can also pull off those agonized, tonsil-showing grimaces better than most hard-rockers from the ’70s. The best way to enjoy a Scorpions concert is to forget about the lyrics—unless it’s a rare sociopolitical ballad, like “Winds of Change”—and give yourself over to the flamboyant antics and propulsive guitar-bass-drums racket. With tunes such as “Big City Nights”, “Blackout”, and “Rock You Like a Hurricane” the band delivered melodic ’70s-style rock that made me want to go searching in a Surrey junkyard for my ’66 Polara with the mag wheels and Power-Play 8-track. And a stale little something in the ashtray.